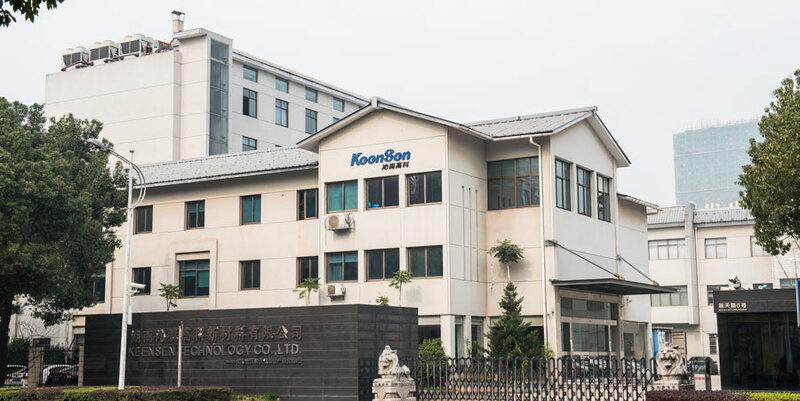 Hunan Keensen Technology Co., Ltd., established in 2008, located in high-tech development district, Changsha (Lu Valley · Hunan· China), specializing in R&D, production, sales and service for reverse osmosis and nanofiltration membrane elements. Keensen introduced the top technology and automatic membrane sheet and element production line from USA in 2010. It has the annual output capability of three million square meters membrane sheet. Keensen has made significant breakthrough in material formulation, processing skills, testing and products application by keeping introducing, digesting, absorbing and innovating in the past six years, including RO and NF membranes, hundreds of membrane flat sheets and elements. Moreover, OEM or ODM orders were acceptable. Keensen membranes have been widely applied in the drinking water, sewage, seawater, brackish water treatment, and material concentration and separation, and enjoyed many customers in steel industry, electricity, civil engineering, medicine, food and beverage, hospital both in the domestic and overseas market. Corporate Philosophy: Technology Creates the Future, Low Carbon Changes the World. Vision: To Be the Leading Manufacturer and Service Provider of Professional Separation Membrane Products in Worldwide. Service Philosophy: Based on concept of service dedication, Keensen established an one-stop customer centralized service system, created a worry-free brand, providing the customer with characteristic, fast, high-quality and credible service through attentive service concept, concentrated service image, patient service attitude and careful service process. The customers can fully experience Keensen’s perseverance and responsibility. OEM or ODM Service for Flat Sheet and Membrane Element. Model Selection and Calculation for Flat Sheet Membrane and Element. Water Quality Analysis and Tests Training. Bug Diagnosis and Analysis of Membrane System. Designs and Evaluations of Membrane System. Membrane System Maintenance and Staff Training.